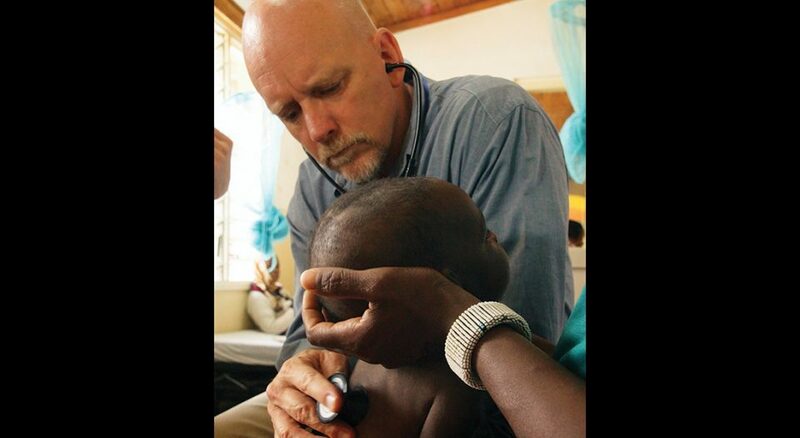 Steve Swanson, a medical doctor and ELCA missionary, examines a child at Selian Hospital in the Arusha Region of Tanzania. Jodi Swanson (right) works with inpatient and outpatient programs at Selian Hospital. Jenna Bergeson (third from left) holds a missionary teaching position with the Lutheran Theological Seminary in Hong Kong. David Thorp (left) with Emilio Flores, president of the Bolivian Evangelical Lutheran Church. Nicolette Faison works on a gardening project with students. She has a one-year call with the United Evangelical Lutheran Church in Argentina and Uruguay. 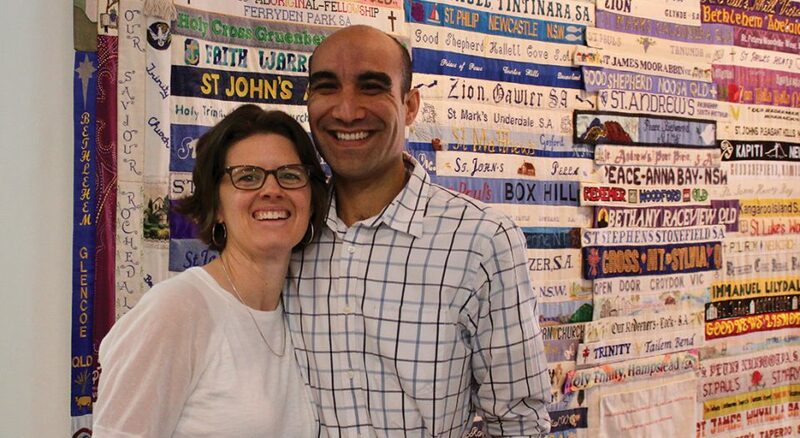 Kim Crawford and Henry Martinez with a quilt featuring the names of all the Lutheran congregations in Australia. In Bratislava, Slovakia, Kathy and Bill Fredell support the education ministry of the Evangelical Church of the Augsburg Confession in the Slovak Republic. 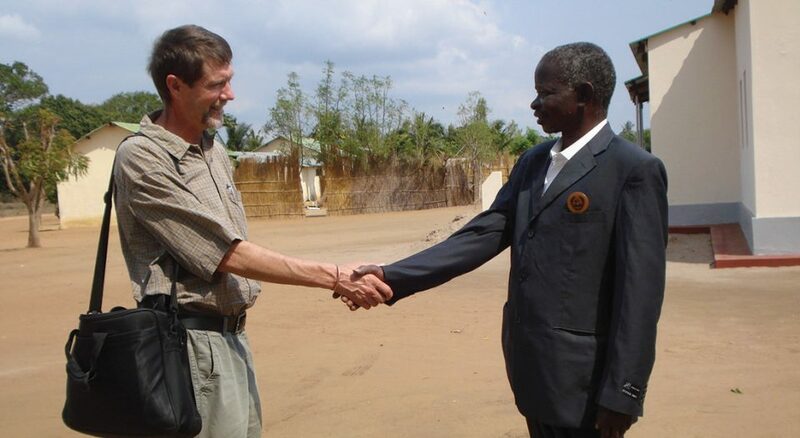 Phil Knutson (left) greets community leader Alberto Chema at the Mavuco Clinic in Mozambique. As you read this, some 225 ELCA pastors, doctors, nurses, teachers, theological educators, communicators and community organizers are serving on every continent but Antarctica. These widespread missionaries are couples, families, singles; ordained and lay leaders; in long-term or short-term calls; new to global service and veterans whose parents were missionaries too. The body of Christ today includes more than 145 Lutheran church bodies with 72 million members in 98 countries who also preach, teach, heal, feed and care for God’s creation. So why are ELCA missionaries needed today, and what do they do? In the past, Lutheran missionaries were sent to establish new churches around the world. Today ELCA missionaries partner with existing church bodies to spread the good news in their unique contexts. Local leaders have replaced missionaries in pulpits and bishops’ offices. Churches that missionaries helped start now run their own seminaries, provide their own evangelists and pastors, and administer their own programs. And ELCA missionaries are sent only when an invitation is issued by a global companion church. In Tanzania, healing means training and supporting staff for the 21 hospitals and dozens of dispensaries of the Evangelical Lutheran Church in Tanzania. That’s the role of Steve and Jodi Swanson, along with Mark and Linda Jacobson, as medical missionaries in Arusha. A pediatric infectious disease and tropical medicine specialist with a background in public health, Steve is medical director of the neonatal intensive care unit at Arusha Lutheran Medical Center. He trains local professionals, leads teaching ward rounds, offers weekly educational conferences, partners students with visiting doctors and develops protocols. Jodi also has extensive credentials in pediatric nursing and community health. 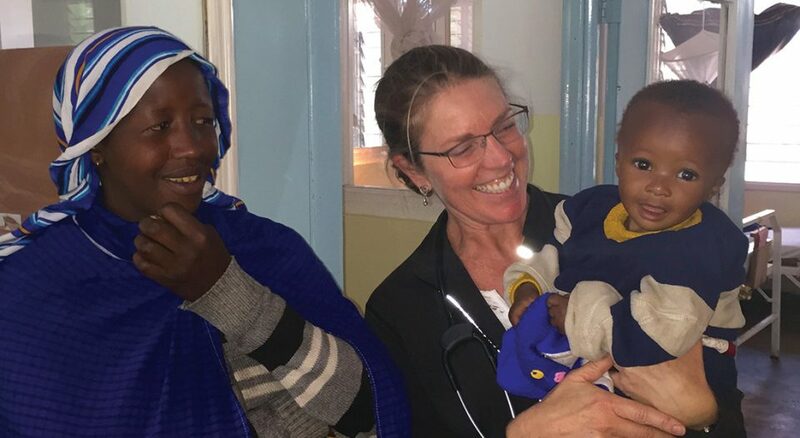 She works with the inpatient and outpatient programs for malnourished children at Selian Hospital and trains nurses at the medical center’s nursing school, where she hopes to develop best practices around the care of children with malnutrition. The Swansons and Mark Jacobson, who is a doctor, are sometimes assisted by participants in the ELCA Global Health Volunteers program, which facilitates short-term placements of three weeks or a month for health professionals. For the Swansons, serving as missionaries means carrying out their work through relationships. Jodi spent a year winning the trust and friendship of colleagues in the nutritional unit before she began to make suggestions. Steve works to create relationships that are warm, collegial and encouraging. He always acknowledges his mistakes so the student doctors won’t feel ashamed of their errors. This morning, Jenna Bergeson will join students at the Lutheran Theological Seminary (LTS), Hong Kong canteen for breakfast and fellowship. When the group finishes eating, they’ll join the all-seminary worship service. Then Jenna will teach a class, return to the canteen for lunch and spend the afternoon teaching, preparing lessons or meeting with students. Bergeson is one of nearly a dozen English as a Second Language (ESL) teachers serving church institutions in Hong Kong, Japan and Thailand. She serves a seminary that teaches in three languages: Cantonese for students from Hong Kong, Mandarin for students from mainland China and Taiwan, and English for everybody else. Bergeson took her position after LTS asked the ELCA for ESL teachers to help give Asian church leaders better access to English-language theological resources, international training opportunities and networking on the global scene. 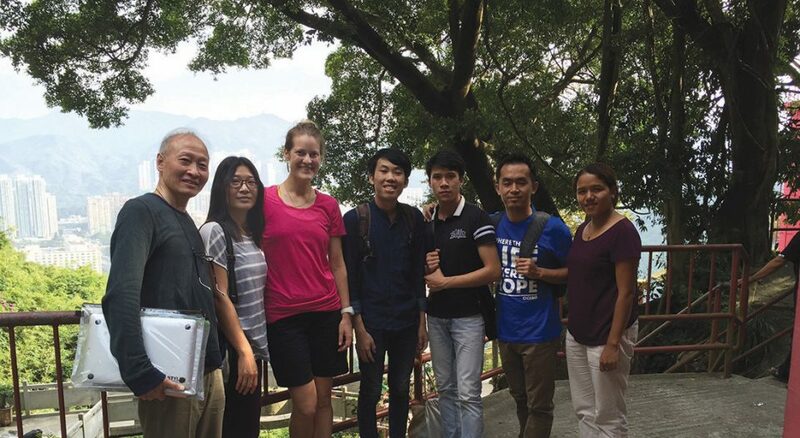 Spending 2013-14 in Kota Kinabalu, Malyasia, as part of the Young Adults in Global Mission (YAGM) program helped Bergeson discern that global church work was something God had in mind for her. Now in year two of a four-year contract, she is also a Luther Seminary, St. Paul, Minn., student who sits in on classes at LTS. Every day as a missionary teaches her something new about faith, culture and the gospel. “I often feel like a student in my own class,” she says. “A missionary walks with and listens,” said David Thorp, who serves the Bolivian Evangelical Lutheran Church as a pastoral educator and trainer. Walking and listening are core tenets of accompaniment, the model of mission that all ELCA missionaries are trained to implement. 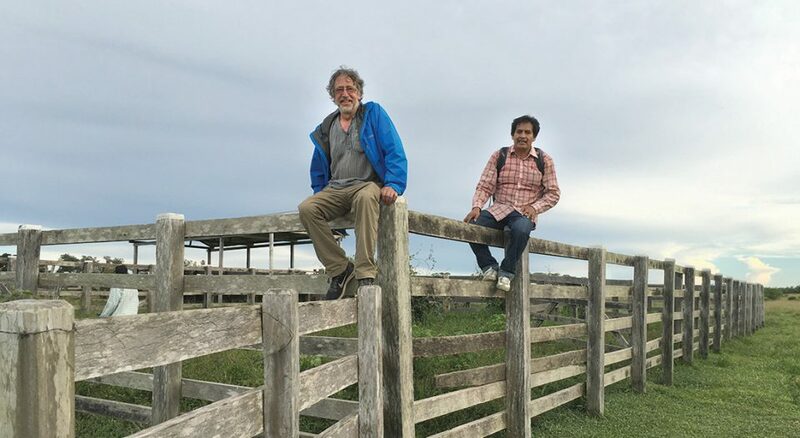 Defined by the ELCA as “walking together in a solidarity that practices interdependence and mutuality,” the model first emerged in Latin America. The ELCA implemented it in 1995. Thorp had a front-row seat to its evolution from 1982 to 1991, when he and wife, Shelley, and their children served the Evangelical Lutheran Church in Peru as it transitioned from missionary to local leadership. By offering workshops on Lutheran identity and liturgical worship, Thorp equips Aymara- and Quechua-speaking pastors and leaders of this minority church to thrive in a context dominated by Catholicism and neo-Pentecostalism. He frequently focuses on tenets of the Reformation. For Faison, that means adapting to the relaxed Argentine approach to running a congregation and adjusting to a church that is practically empty on Sunday but teems with after-school programs, women’s groups and Bible studies during the week. Serving in another language and culture is shaping the way Faison anticipates continuing ministry to people whose first language is not English. “We don’t have enough ministers in our tradition who can serve these communities,” she said. In Adelaide, Australia, Henry Martinez and Kim Crawford get some perplexed looks when they introduce themselves. Missionaries in the land of Vegemite and big-wave surfing? Really? The confusion clears when Martinez and Crawford explain the ELCA’s Young Adults in Global Mission (YAGM) program. Since arriving in Australia with their young sons in spring 2016, the country coordinators have worked with the local church to welcome the first-ever YAGM down under. Besides mentoring young missionaries whose one-year service placements range from an aboriginal boarding school to a transitional retirement home, they are building relationships with the Lutheran Church of Australia (LCA). “Our program is very interesting to the LCA, which also deeply desires greater engagement with its young people,” Crawford said. Martinez added, “The term ‘missionary’ almost always calls for explanation in a way that ‘pastor’ does not.” The title can come with baggage, especially among laypeople who associate the word with forced conversions, the loss of indigenous cultures and centuries in which people were seen as “objects” of mission. Past mission efforts by Australian Lutherans treated indigenous people better than government efforts and policy. “But we are aware that our presence is connected to the painful past of mission history,” Crawford said. 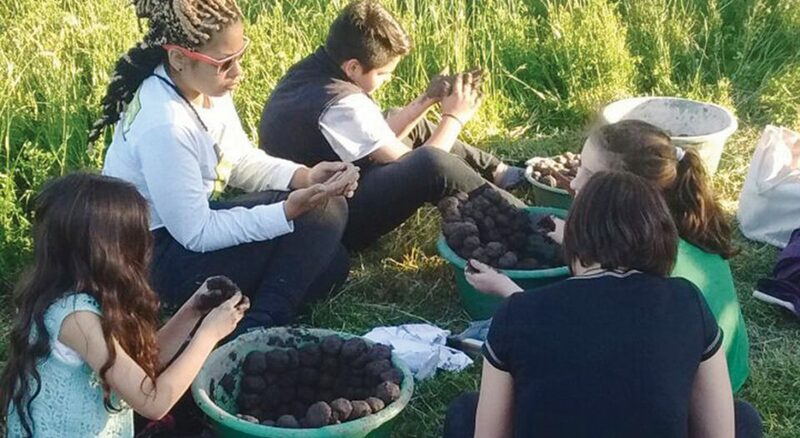 Still, using missionary reminds the couple that they are doing more than just creating a cross-cultural program for young adult leaders from the ELCA. “We are part of a greater movement, which is God’s mission of making a people and doing so in great love,” Martinez said. “What sets the ELCA apart from other denominations is the support system we have in place for people who serve on behalf of this church,” said Rafael Malpica Padilla, executive director of ELCA Global Mission. Most ELCA missionaries don’t have to raise their own funds to serve. (In other denominations, missionaries must raise a certain percentage of their salary each year.) Instead, their work is funded through Mission Support (a percentage of ELCA congregations’ weekly offerings) and direct donations made through ELCA Global Church Sponsorship. While on home assignment every two years, long-term and Global Mission two-year missionaries visit congregations to meet and thank the people whose offerings and gifts to Global Church Sponsorship help support their ministries. Learn more. 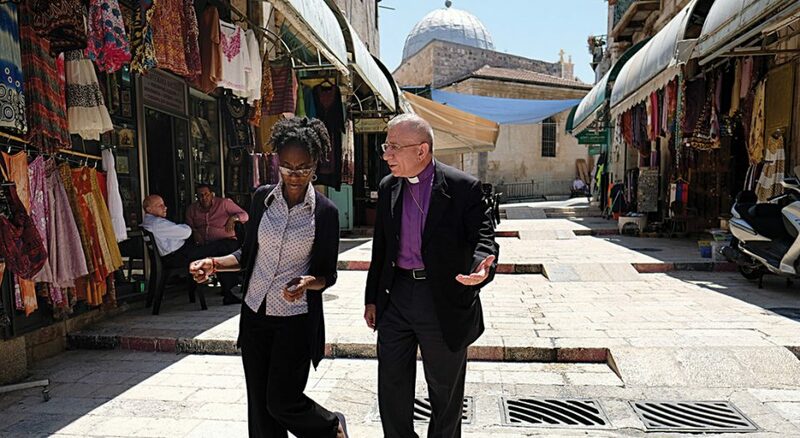 Adrainne Gray and her husband, Ben, are careful observers of life in Jerusalem, where they serve in communications for the Evangelical Lutheran Church in Jordan and the Holy Land. What they see can be humorous, like the woman taking a selfie while holding her baby, who was dressed in a Santa suit, in front of the statue of Mary in the Church of the Holy Sepulchre. Sometimes it’s tragic, like lunching with a co-worker whose house lies beneath an army outpost, and who lives under the scrutiny of the soldiers in the lookout tower. 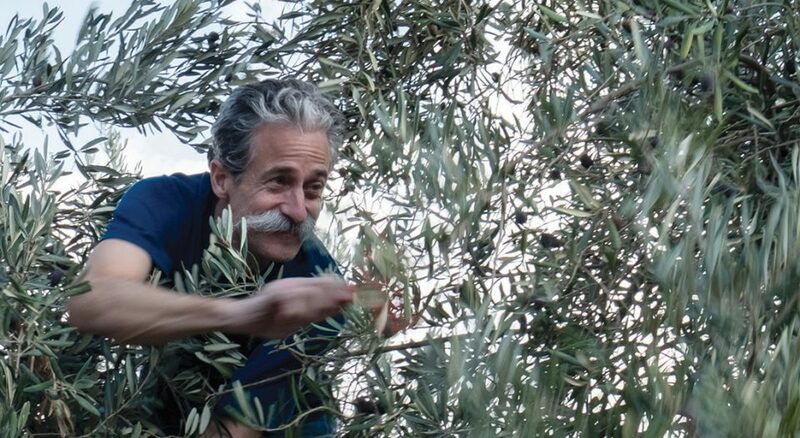 Whether they are taking photos, writing stories or preparing press releases, their charge is to connect the English-speaking Lutheran world to the reality of life for Arab Lutherans in Palestine, Jerusalem and Jordan. While the majority of ELCA missionaries are in their 20s, early 30s or close to retirement, the Grays are in the middle of their careers and raising their 14- and 11-year-old kids. They came to Jerusalem after she completed her training as a deaconess in 2015 and was looking for a call. In Bratislava, Slovakia, Bill and Kathy Fredell support the education ministry of the Evangelical Church of the Augsburg Confession in the Slovak Republic. Education was the first ministry that the church reclaimed in 1991, after schools had been closed under communist rule. To reopen the bilingual Slovak-English high schools, the church turned to the ELCA and other Lutheran church bodies for assistance. Hundreds of volunteer ELCA teachers have helped rebuild the schools by teaching for a year or two in Slovakia and, more recently, Hungary and Poland. They pay their way to and from Europe, but receive a small stipend, shared housing and medical insurance. While qualified candidates with bachelor’s degrees can teach in the Central Europe program, the Fredells consider it an ideal assignment for people who are retired. As the ELCA’s longest-serving missionary, Phil Knutson has seen a lot of changes over the last 35 years. After growing up in South Africa with missionary parents, finishing college and becoming a pastor of the American Lutheran Church (an ELCA predecessor), Knutson began service as a parish pastor with the Evangelical Lutheran Church in Southern Africa in 1982. He was supervised by a local bishop, which was a significant shift from what he witnessed in his youth when foreign missionaries ran the church. He and his wife, Lou—from an Afrikaner family openly against apartheid—were involved in marches, taken in for questioning and had their phone tapped. After 17 years in the parish, Knutson became the ELCA’s regional representative for Southern Africa. In this role, he uses his experience more broadly, working with companion Lutheran church bodies in 10 African countries to grow the church. 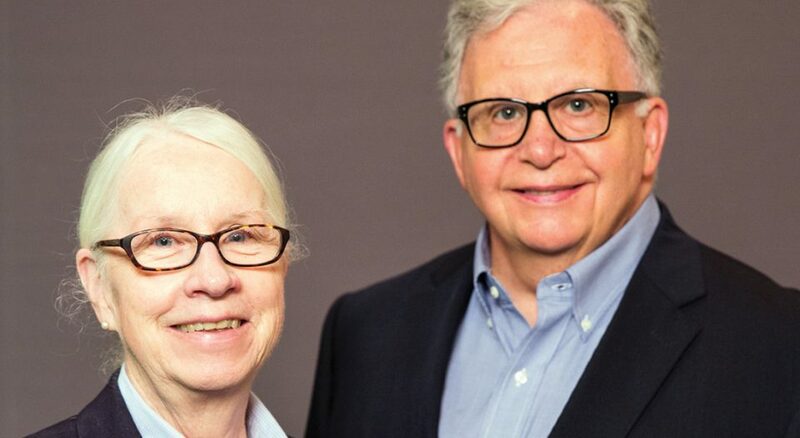 Knutson said he is pleased by the ELCA’s emphasis on accompaniment, which includes nurturing the gifts of talented, capable people who are leading ministries, developing curricula and reflecting Christ to their neighbors. Although they serve in different roles in 44 countries, ELCA missionaries are united in their primary call to accompany global companion churches in proclaiming the good news of Jesus Christ. Missionaries have been part of our Christian faith since the resurrected Jesus gathered with his followers on a mountaintop in Galilee to give them the Great Commission. But the work of missionaries has changed a great deal over the years as Christians have sought to reach out to a changing world with the love of Christ. How that work has evolved may help us understand our own mission better.